Arctic Thunder Open House 2018 Rumbles Again 8:30 a.m. Tomorrow! 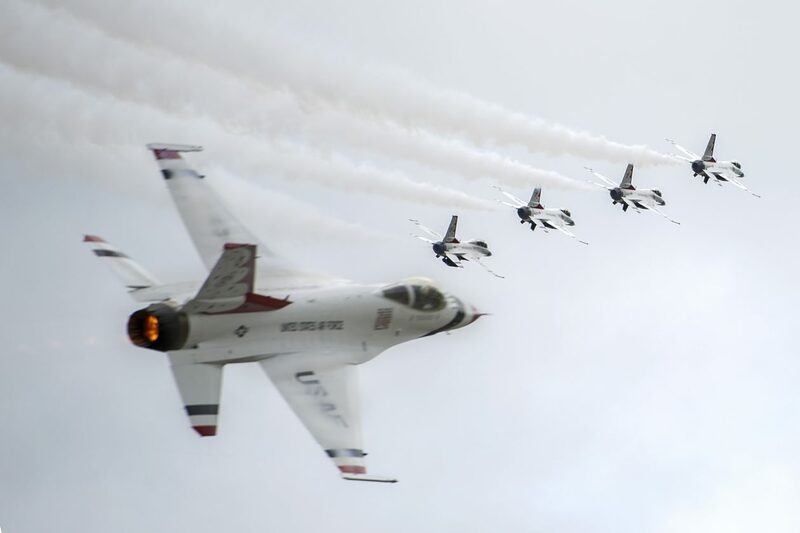 If you missed Arctic Thunder Open House 2018 today, its not too late. Tomorrow at 8:30 a.m. Gate 1 (Boniface Parkway) and Gate 2 (Fort Richardson via D Street Exit) will open for general public entry. For those arriving from North of Joint Base Elmendorf-Richardson (Eagle River or the Valley), please enter through the Fort Richardson Gate via D Street Exit. 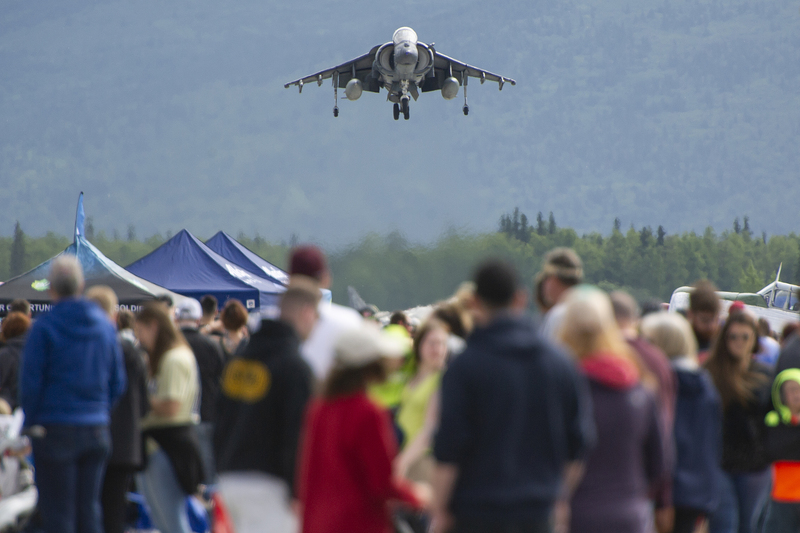 For those arriving from Anchorage or South of Joint Base Elmendorf-Richardson, please enter through the Boniface Gate via Boniface Parkway. You will be directed to FREE general parking after entry. At 9:30 a.m tomorrow. our first performance of the day will take off with Quique Somenzini and his F-16QQ PNP Unmanned Aircraft Systems Demonstrator. Listen for our announcer, Mike Berriochoa, for further details. He will be sitting close by our amazing air boss, Ralph Royce, who will be directing our air performances throughout the day. From 8:30 a.m. to noon tomorrow, the Boniface Gate will have three lanes inbound and one lane outbound. After 2 p.m., no inbound open house traffic will be allowed through Boniface Gate or Richardson Gate. 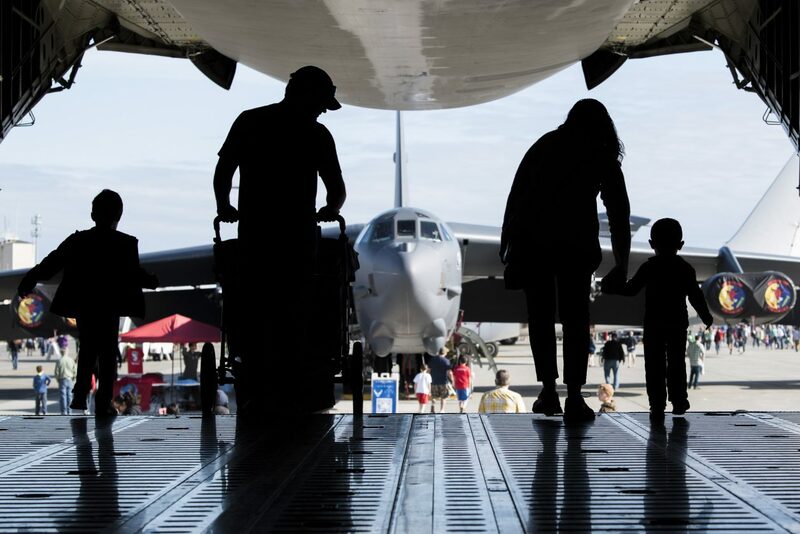 Individuals with children are requested to pick up armbands at Entry Control Points or in Hangar 2. Handicap parking is available for vehicles with the proper identification and markings. For any questions, please refer to our Admissions Information and Entry Restrictions pages. As a reminder, please consider bringing water, sunscreen, and hearing protection to the event especially if you have children. Access to free water is limited. Water, beverages, and food for purchase will be available.